Epoch has tweaked it's composite and material shafts technology to produce this lightweight lacrosse glove with high inverse weight to strength ratio. The result is a collection of top quality gloves which provides safety and performance at the best price in the game. 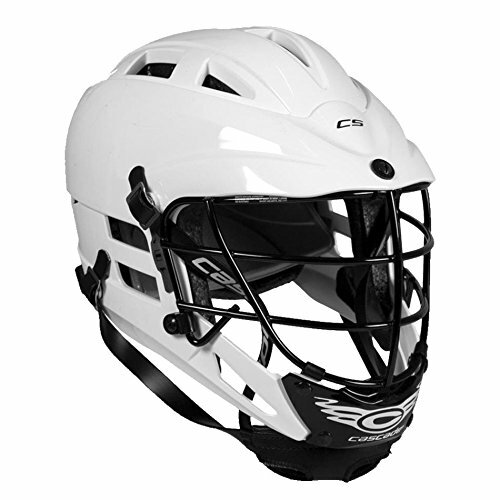 This product is designed for the emerging player looking to find their true identities in the game of lacrosse. While no two players are the same, this glove allows them to take their game to the next level. The iD glove comes with a flexible thumb that will keep your hands nimble providing maximum feel and control over your stick. In addition to a triple foam stack which is a highly breathable textured fabric which increases ventilation as well as serves as additional protection for your hand. Furthermore, with the tri-layer dual density foam stack, in combination with the softer foam on the bottom layer, and a dense polyethylene layer on the top of the glove, your hands will withstand and absorb all hit/impact forces without stress. Many lacrosse players indicate they want a glove with a cuff that moved with their style of play while providing safety and support. Other brands have tried to inculcate this feature but comes at a cost – reduced movement. But with the iD glove, the cuff is extended in a way that the protective portion does not come in between your wrist as you flex your wrist. This is a lacrosse glove specially designed for young players starting to play the game. It is designed with one of the most durable polyesters to provide maximum protection for your hands. 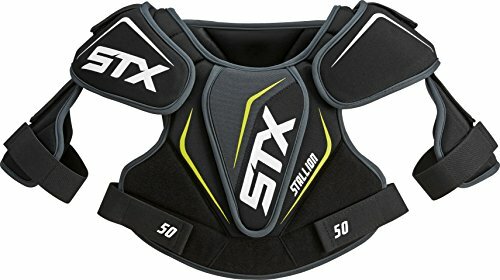 If you play defense or midfield, and regularly get physical with opponents, you are more likely to stand your ground and not give up bigger plays with the STX gloves on your hand. The gloves have a unique and advanced grip in the palm area, an important feature to help you control the stick and outmaneuver your opponents with dazzling and fancy tricks. In addition to excellent top ventilation which allows sweat dry very fast. This top vent, therefore, helps prevent your hand from having an offensive odor as well as keep it from getting irritated. 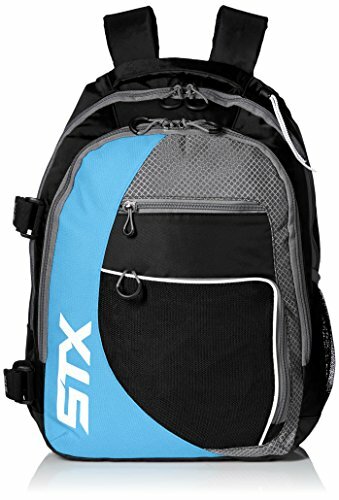 With such top-notch protective features, the STX lacrosse youth glove is surprisingly lightweight; thus you will have more mobility and freedom to conjure magic and swing the game in your favor. The mobility and lightweight features of this glove will increase your overall accuracy, your passing and shot will become much more efficient. It weighs a little less than 8 ounces making it one of the lightest competing gloves on the market, and at its current price, it represents excellent value for money. The Brine King Superlight Lacrosse gloves are incredibly lightweight and offer excellent mobility and flexibility. It is available in multiple sizes of 12 to 13 inches and is a really great pair of gloves which will improve your handling during games. It comes with a spacious interior which is crucial when performing hand tricks and faking defenders with your lacrosse stick. And designed with a TruVent technology in the backhand to allow for maximum dissipation of heat while also evaporating sweat faster than your body produces it. Therefore, you will experience less internal slipping of hand, and when used in conjunction with the textured nash palm, you will feel total control and have the confidence to do tricks and fake out defenders without breaking a sweat – while still maintaining perfect accuracy. Additionally, the glove has additional padding, and a floating wrist cuff designed to improve resistant to impacts, hence durability. While in the thick of play, this glove gives you the confidence that it will not tear or rip off easily. The Brine King Superlight 2 Lacrosse Glove is a little expensive but can be used by both, beginner, intermediate or professional players. The additional straps are made such that anyone can choose a customized fit in no time. 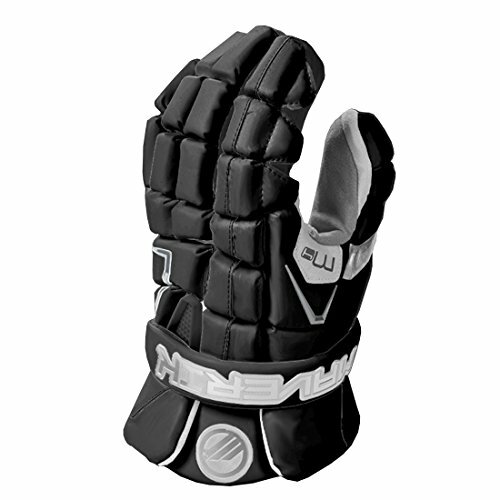 Landing on the fourth spot is the Maverik M4 Lacrosse Gloves whose design is based more on the traditional fit and hands. While this might be slightly different from others on this list, it offers comfort and secure fit with the average hand in mind. The entire backhand of this glove is fitted with reinforced protection which is especially doubled for the thumb area to ensure maximum protection while allowing you the leeway to do risky things like faking a defender. On the interior, there is an advanced 37.5 technologically improved liner, especially infused to speed the rate of evaporation and prevent the buildup of sweat or any other moisture to give a comfortable fit. This ensures you do not have to contend with any noxious odor coming from your gloves. Also, it comes in an Ax suede material on the palm of the glove. 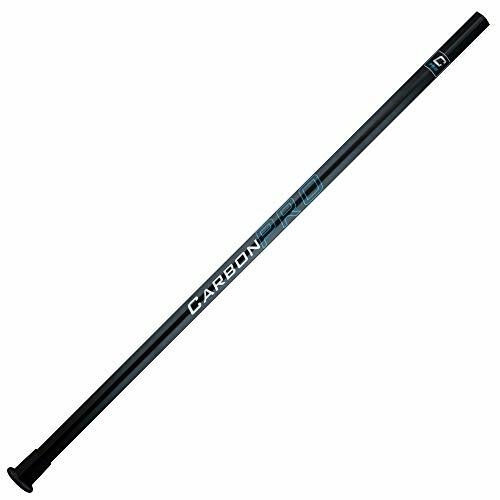 This is a thin material fitted with an advanced grip technology to give more control over your lacrosse stick and also aid mobility and freedom. The material built on the Maverik M4 Lacrosse Gloves are lightweight and flexible thus you feel like light handed which improves your passing and shooting accuracy. While the Maverik Lacrosse Men's Rome RX3 Gloves are not the ultra-protective M3 lacrosse gloves, they are super protective and offer high grip, comfort, and flexibility. Thus, they are an excellent option for lacrosse gloves based on the level of protection and value it provides. You will find a slash guard on the forefinger of this glove and on the thumb a hinge that contains shark Gel. This is a material that hardens when hit and is found on some of the best lacrosse gloves on the market. These features confer maximum flexibility on the glove until they need to be protective. 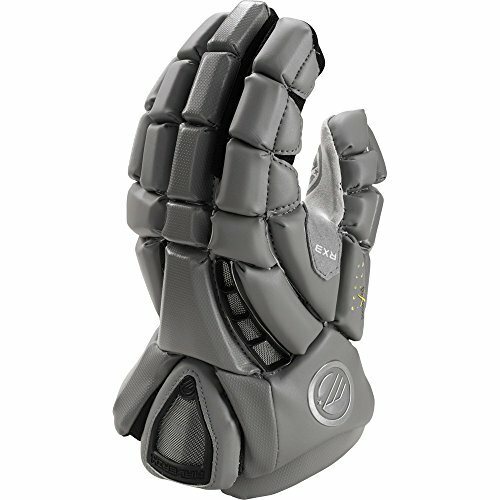 Additionally, it also features an XFOAM impact resistant padding shields which protect the rest of the hand from harm. This in combination with lightweight padding ensures the Maverik Lacrosse Men's Rome RX3 Glove will not impede your natural movement. It also comes with a DuraStretch fabric which is designed to be breathable, and in combination with a moisture-wicking Thermoblast liner, sweat and other moisture are kept out. With this in place, a player’s grip is not compromised; thus performance is enhanced. Conclusively, it comes in a range of aesthetically pleasing colors such as black, grey, red, and royal. Thumb is the area which is most prone to injuries during a lacrosse game. Make sure that the lacrosse gloves you get have additional padding in the thumb area. 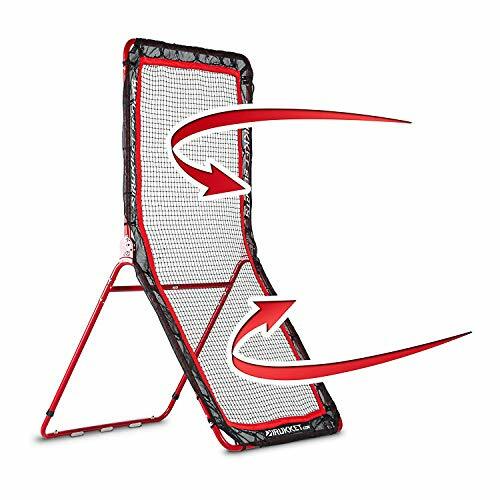 This padding should be protective but, at the same time, it should not hinder the free movement of your thumb during the game. The gloves which offer the best quality typically come with a thumb padding which is flexible and lightweight but effective in guarding your thumb against high-impact shots. 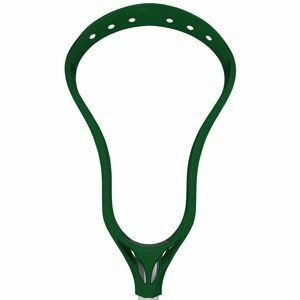 The palm of the lacrosse gloves is the area which you will use to hold your lacrosse stick. So, it should offer a good degree of padding for comfort. Keep in mind though that the palm should not be over-padded and made too thick because this will reduce or eliminate stick feedback. You want the palms of your gloves to be padded just right so that you can easily wield the stick while getting a decent amount of feedback from it. Ventilation is one of the most important features of lacrosse gloves. 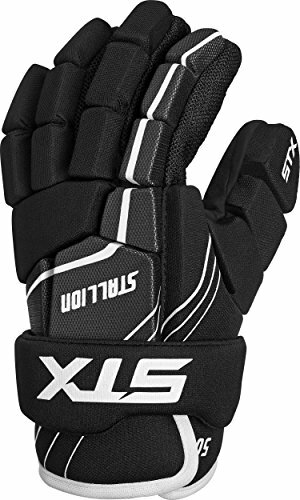 Most of the gloves from notable manufacturers such as Warrior, Brine, and STX come with excellent ventilation features. Good ventilation simply ensures that when you are wearing the gloves in the heat of the game, your hands remain dry and cool. Look for gloves with great ventilation feature as those with poor ventilation result in sweaty hands which can hamper your play and impact your performance. Grip is another key feature of lacrosse gloves. Typically, you wear lacrosse gloves for additional protection of your hands. But if the gloves you wear don’t have a good grip, this will adversely affect your game. The grip of the gloves should be such that you can hold the lacrosse stick firmly and your hold doesn’t slip easily. If your budget permits, then opt to buy quality gloves as doing the opposite will only give you a slippery grip which, to make things worse, may rip up in no time. For any lacrosse player, the gloves which perfectly fit their hands help ensure better performance on the field. 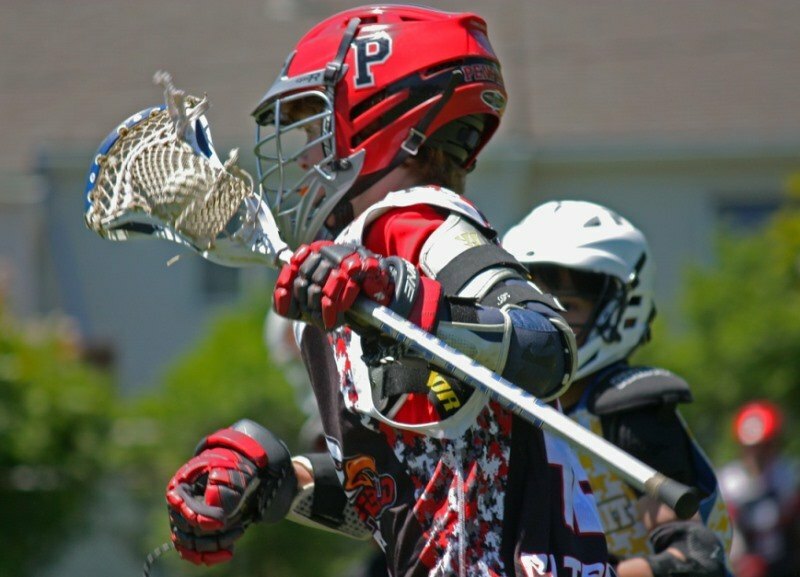 Most lacrosse players prefer gloves which fit their hands tightly, while some players like their gloves to be a little loose. When choosing the right size of lacrosse gloves, make sure that you try them on and that they fit your hands comfortably. At the same time, they should be sized right to protect your hands well during the game. 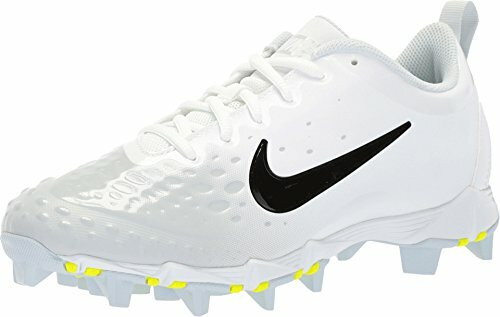 In general, lacrosse gloves range from 8 inches to around 14 inches in size. It is important to find lacrosse gloves which are of the right fit. Otherwise, the gloves will only hamper your performance which may end up in a bad game for you and your team. Try on the gloves to find out if they fit you right. If your fingers touch the top edges of the finger gussets, then this indicates that the size is too small for you. Go for a pair that leaves some space between your fingertips and the gussets. Also, make sure that the gloves do not restrict the movement of your wrists. Likewise, gloves that restrict wrist movements may also affect your game performance as well as the team’s. We have already established that one of the key reasons why lacrosse players use gloves is simply for protection. 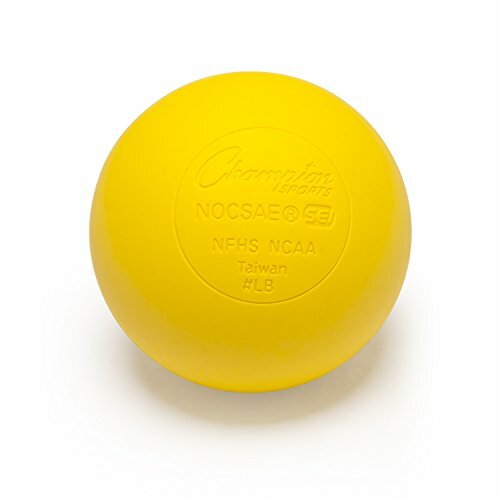 You may incur many minor cuts and bruises on your hands when playing in a lacrosse game, especially if you are a goalie, as you have to stop many high-speed attacks from the opponent team. Hence, using gloves adds a great degree of protection to your hands. So, when purchasing lacrosse gloves, make sure you get one with good lining and padding to ensure proper hand protection. You may also want to look for additional padding in the thumb and index finger area since these are the most prone to injuries during the game. All the factors stated above contribute to the effectiveness of a good pair of lacrosse gloves. Afterall, the purpose of wearing lacrosse gloves is simply to ensure better protection of your hands and more comfortable gameplay. To this end, an effective pair of lacrosse gloves should be lightweight and comfortable but tough and sturdy in the right places to ensure protection against high-speed shots. 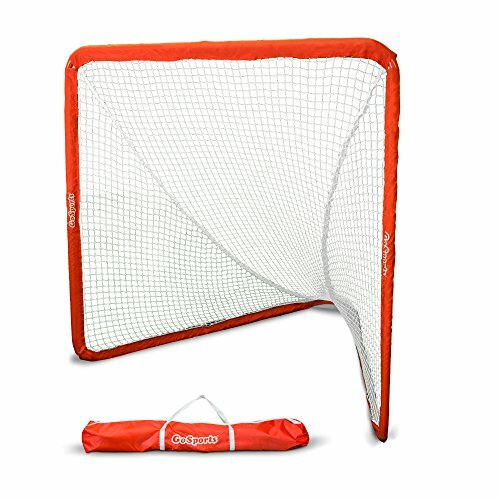 Effective lacrosse gloves should also allow you to use the lacrosse stick easily and freely, and must not hamper your gameplay in any way. 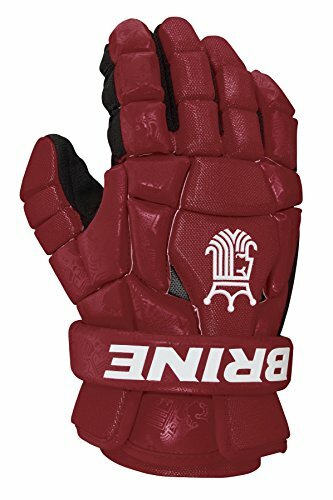 Finally, effective lacrosse gloves should come with a good degree of ventilation so as to ensure that when using them, your hands remain dry and cool. Cleaning lacrosse gloves on a regular basis is important. This is because, over time, the sweat and dirt start to form a biofilm inside your gloves. This ultimately becomes a breeding ground for bacteria and eventually produce that nasty smell. Fortunately, it is quite easy to clean your gloves and get rid of that nasty smell. Here are the steps to clean your gloves. Step 1: Hit or pound the gloves to take off any hard deposits of dirt. Step 2: Put warm water in the sink or any other container. Step 3: Add a mild detergent and soak the gloves in the water for nearly 15 minutes. Step 4: Use water to wash off the detergent. You can use a high-pressure water source, such as the shower, to ensure that any loosened dirt is also taken off when you rinse the gloves. Step 5: Place the gloves under the sun or in front of a fan to dry. Hopefully, there will be no more odor coming from your gloves after these easy steps. With the above-reviewed gloves, your lacrosse game will improve which will boost your on-field confidence. And with the information in this article, you should be able to select the perfect glove that suits your needs. 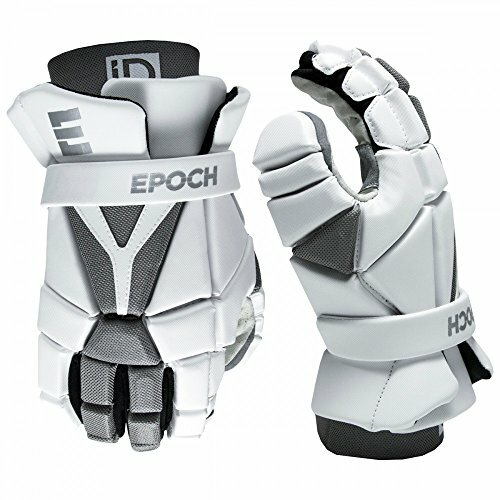 Our top-rated lacrosse glove is the Epoch Lacrosse iD High Performance, Lightweight Glove. It comes with novel technologies absent in many other lacrosse gloves which provide ultimate comfort, safety in a sleek design. 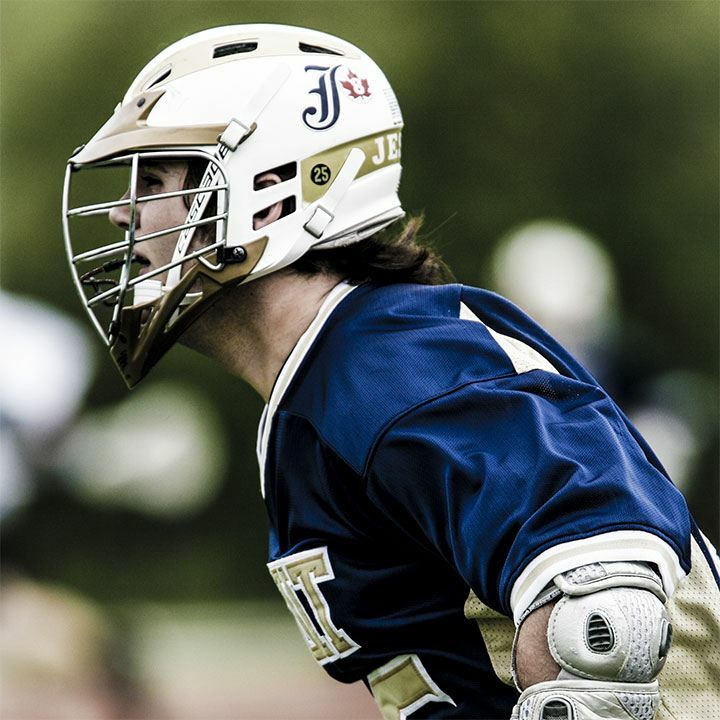 FIND YOUR IDENTITY - The Epoch iD protective collection was designed for the emerging lacrosse player. Engineered with some of the most popular features and technology on the market, iD is designed to provide safe and comfortable performance at the best value in the game. If you are in the market for high performing gloves, arm pads and shoulder pads, iD is the only choice for you. 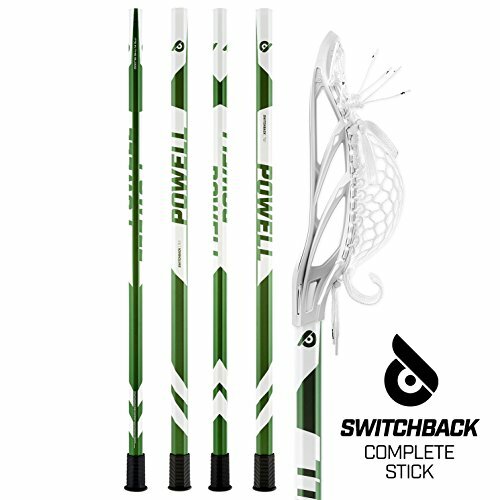 TRI-LAYER DUAL DENSITY FOAM- Protection is paramount in the design of all lacrosse equipment. We created a Tri-Layer Dual Density Foam Stack, which layers up the foam (in stacks) with the softer foam on the bottom layer and a denser polyethylene on the top layer for hit/impact protection. NASH, VENTED, REINFORCED PALM-The material used in the construction of the palm was carefully considered. The Epoch iD features a nash, vented, reinforced palm. If any other product makes it to your top rated position, please indicate in the comment box.